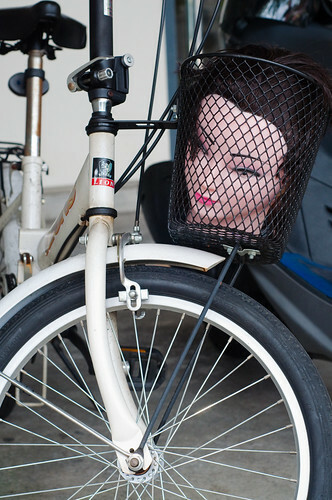 It wasn’t long after arriving at work that she realized she left her head in the basket. Seen in Caotun. – purportedly a message found in a PET bottle wafting down the elevator shaft of Taipei 101 and currently going viral via email chat lists worldwide. Sent to this blog today. Pass it around if you dare. what peace there may be in pearl milk tea. court for cussing them out in the lobby that day. forget to carry a fold-up umbrella in your backpack, just in case. time frame pleases you, and drink only that which comes in a bottle. In other words: don’t drink the tap water! to use your chopsticks with aplomb. from Taichung to Hsinkang? Go on it. itinerary for the island and then stick to it. Are you counting the days till you go home? Then you’re in the wrong place. to write home about on this never-out-of-surprises subtropical island. out for gangster interference in case you get too close. You’ve been warned. Find work as a buxiban teacher, an expat businessman or a Ph.D.
you’re here, and it wouldn’t hurt to pick up some Hakka and Hoklo, too. Formosans, from 10,000 years ago and more. And they have stories to tell, stories to tell. Beheadings? Believe it. matte”? Or “kukei” or massaji”? politicians can stage knock-em-down fights on TV and get away with it. Says his name is Steve Garvey….. anybody know him? Thanks Micki! Caotun is full of gems!